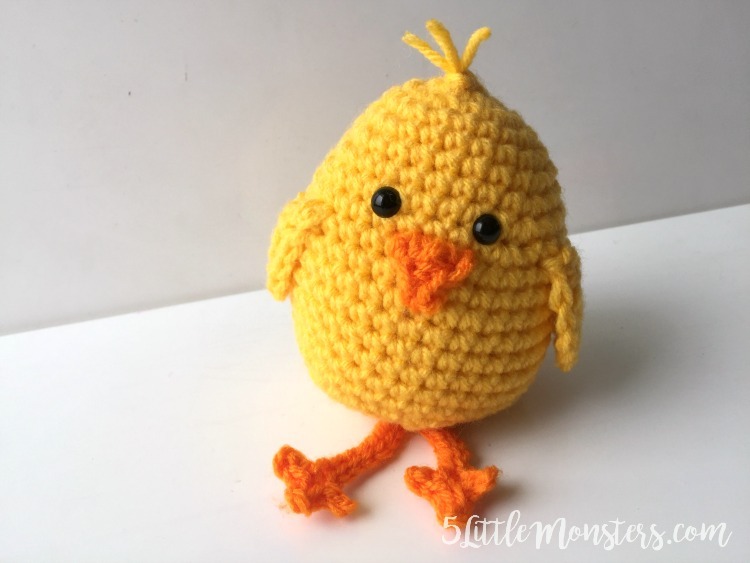 Number 10 was this little chick that I made for Easter last year. It was a project I made for Fairfield World but the pattern is available on my blog, just click the picture or title above. Spring and Easter are just a few months away now so you might want to put this little guy on your to-do list. I made these card holders to hold business cards when I was attending a blog conference this year. 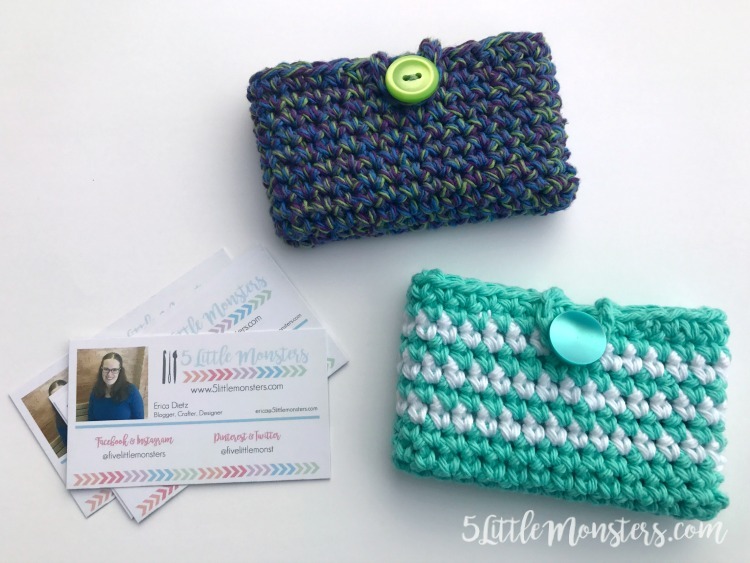 They were a really quick project and a great way to use up scraps of yarn. They were my ninth most popular post of the year. 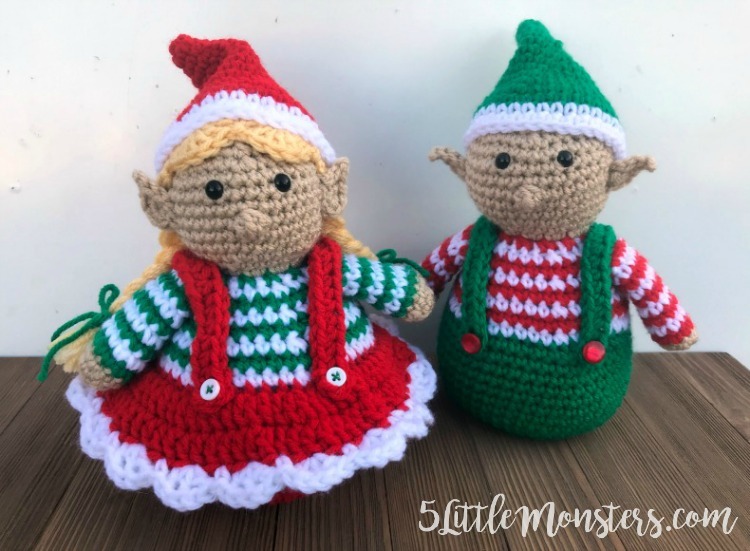 Another project that I made for Fairfield World came in at number 8, this time it was my Christmas Elves. Another Christmas pattern comes in at number 7, although this one I shared as part of a Christmas in July series. 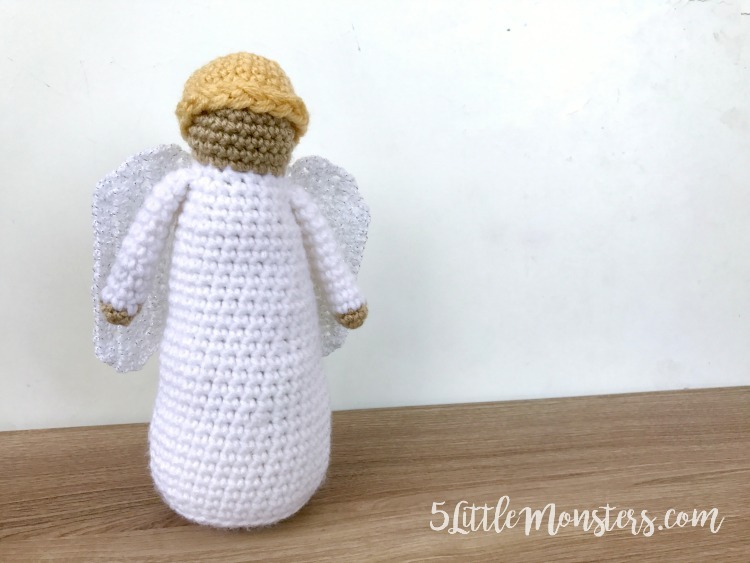 It is an add on to my Crocheted Nativity Set. The Through the Cracks Cowl came in at number 6. 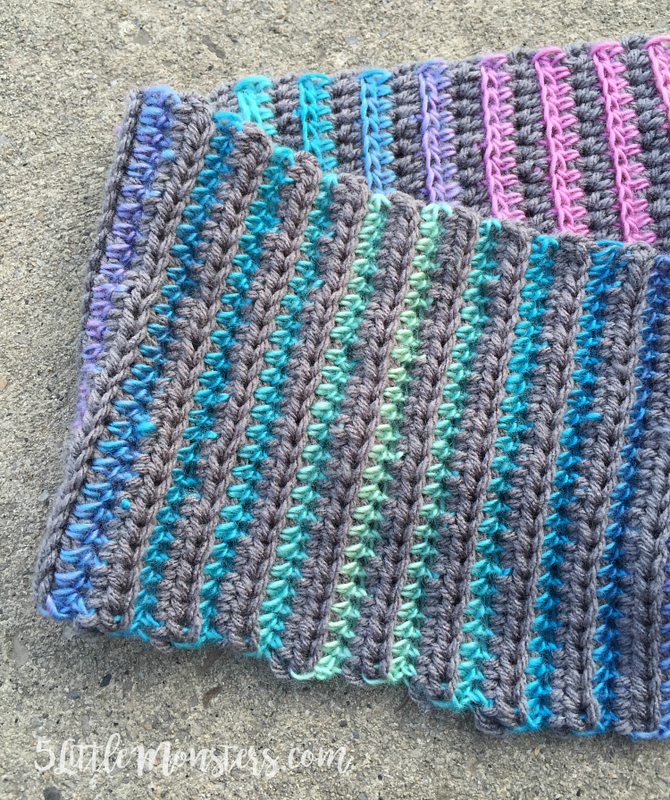 This cowl is super easy to make using one basic stitch, the interesting part of the pattern comes from combining two different yarns, a color changing yarn with a solid gray. At the halfway point we have another part of my nativity, the Three Wisemen. 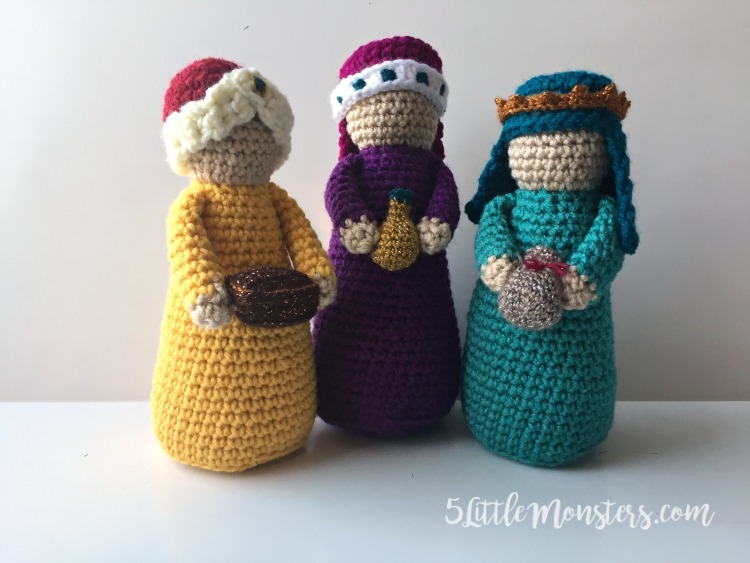 In bright royal colors and each carrying a gift for the baby Jesus these Wisemen are a great addition to your crocheted nativity set. 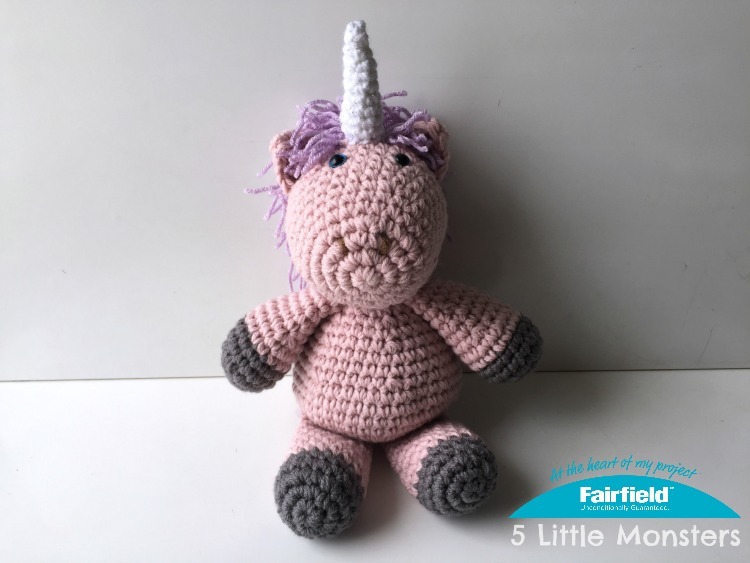 I made this unicorn for my daughter Lucy for Christmas and it was the very first pattern I shared this year. I used double strands of yarn so to make it nice and big. Coming in at number 3 is another project I made for one of my girls. It is also another pattern I made for Fairfield World, two actually, but I shared them together on my blog. My 4 year old loved the set, she named the doll Elsa, very original I know. 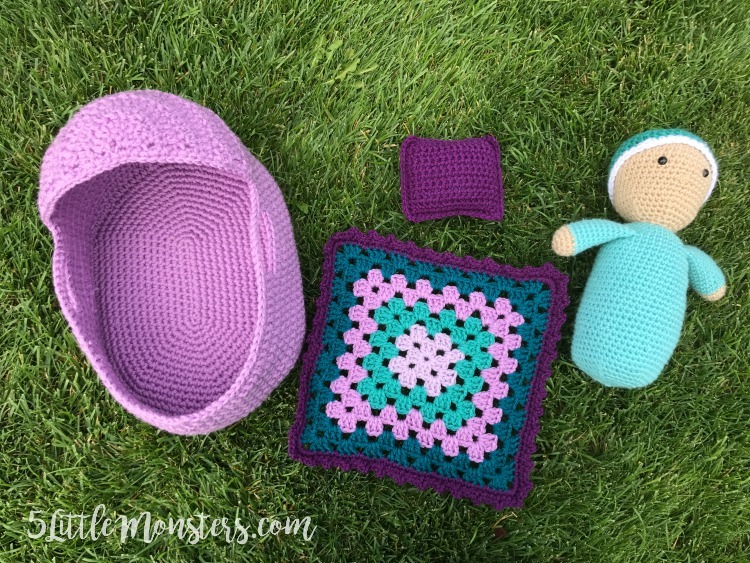 This was an interesting one for me, my second most popular post wasn't an actual pattern, although it is still crochet related. 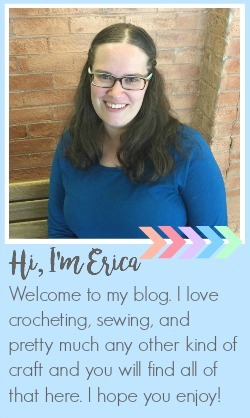 Even though I share a lot of other craft projects every one of my top ten was a crochet post. 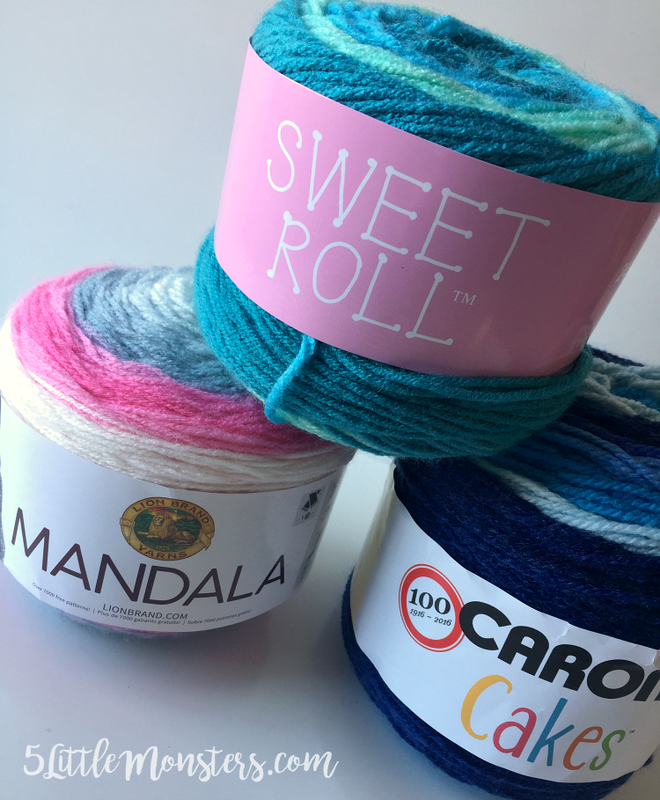 In this post I compared some of the cake yarns that became really popular over the last year or so. There is even a chart to compare them at a glance. More brands have come out with similar yarns since I published this post but it still gives a good idea of the similarities and differences between the different brands. 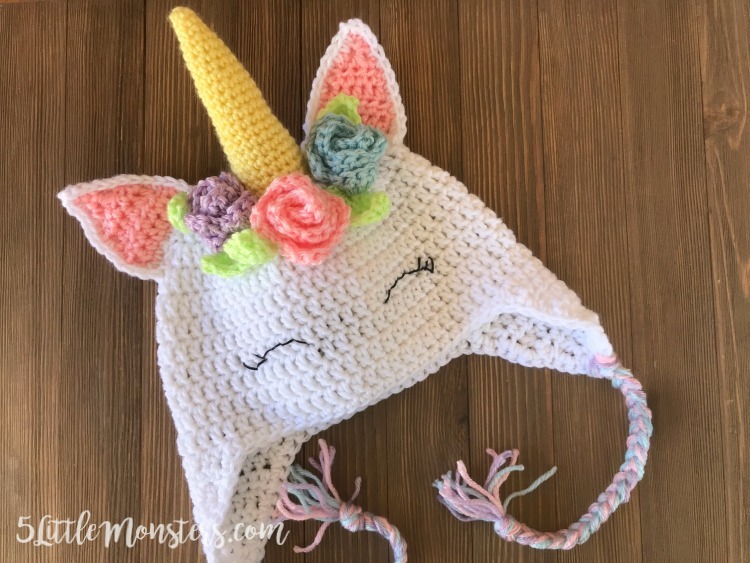 And coming in at number one, the Crocheted Unicorn Hat with Flowers. I loved the way this hat turned out so I was happy to see it do as well as it did. It came in number one by a lot, it wasn't even close. Some of the posts surprised me but some of my favorites made the list too. 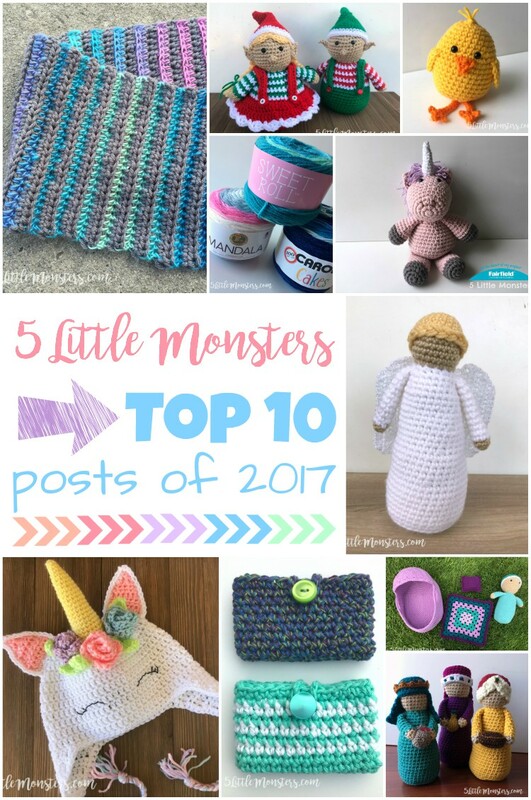 Did you have a favorite post of mine this year? What about a favorite project that you made this year?